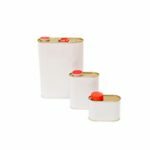 Perennial Packaging’s Tinplate Round General Line Cans with airtight lever lids are available in sizes ranging from 125ml through to 5L. 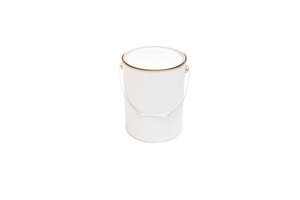 Round Cans are commonly used as paint tins and are cylindrical in shape with straight side. They are supplied with our matching tripletite push in lever lid for a secure, airtight closure. 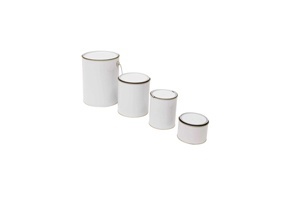 Tinplate Round Cans are suitable for a range of applications including paints and chemicals, solvents, water based liquids, as well as food packaging such edible oils and dry goods. As with our entire range of steel packaging products, you can choose to customise your own tin can to your specific product requirements. For a completely unique and innovative packaging solution, add your choice of closure systems and decorative coatings or finishes to market your product range. With these options, there is a tin can to suit any product packaging requirement. Available in standard sizes: 125ml, 250ml, 500ml, 1L, 2L, 4L and 5L. Plus, other custom sizes available. Match with Tripletite Lever Lids to prolong and protect your product.